I am back in Mtl so it is time to work on the fish room. It is not as big as it sounds; it is a closet where the water tank is located and measures about 3 x 1.5 metres and that space includes the water tank. The advantage is that thanks to that tank, the temperatures are quite high (currently my water is still 25 degrees without a heater) so I will only need a heater in winter time if breeding e.g. my angels. For those that have seen the thread on CAC, I have a gorilla rack in there from which I want to use only 3 shelves for tanks, and the other 2 will be for storing stuff. Then there is a small Ikea rack on which I have a 29 gallon and on the shelf below there is space for 2 5 gallons side by side. The first task will be to replace the rather thin shelves of the big rack with 3/4 plywood. I want to varnish them with boat varnish to protect them from the inevitable water that will drop on them. 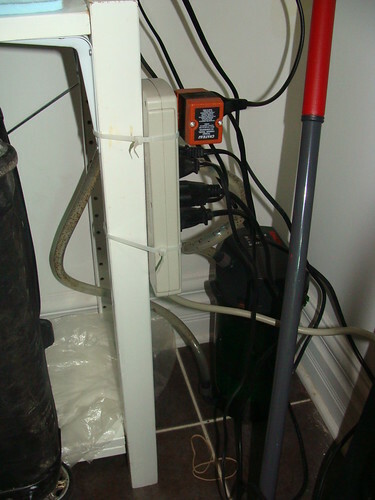 Then I need an electrician to put in some extra outlets plus I assume the current 2 circuits that are part of that room (1 for the water tank and 1 for the air exchanger) need to get extra amperage. Until here it is all pretty straight forward. The third task will be lighting. 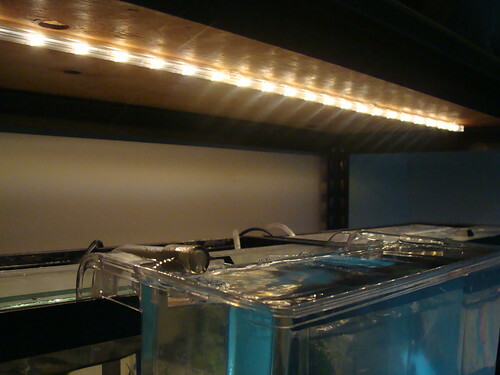 Gary's system with hanging lamps is only possible for the one tank that is on a top shelf. The rest will need some other kind of lighting. As the space between the shelves is quite small, I wonder what the best option would be. Installing shelf wide T5's? Should I buy these LED plastic chains/hoses that you buy by the metre? Anybody any ideas? @Starfish wrote: Looks good. That is a very small space for a sink. Hope it works out. It is, but I already found a sink that fits there. Now the only question is whether it can be attached as the wall is so thin. You've created a great setup in that room. As for the sink, how easy it is to install will depend upon the location of the studs in the wall. With any luck the sink will be able to be bolted to them, if not the plumber will probably have to put in a cross-brace to use as mount. Let us know how it turns out. Orchids? what kind of orchids do you have? Beautiful orchids ! I guess they will do well with the humidity beside the tanks ! It is not humid in the room. I still have to water the plants regularly. Plus these orchids are terrestrial. Orchids are beautiful. How long do they usually bloom for? We grow Phalaenopsis orchids, but Cymbidiums do have a much nicer flower. If you have a good sized healthy phalaenopsis it can easily flower for 3 months. And it does it twice a year. I have had mine for 1.5 years and it has only not flowered for 2 x 3 months! Now it is growing another flower stalk. The cymbidiums flower much shorter and only once a year. Flowers last for about 3 weeks. 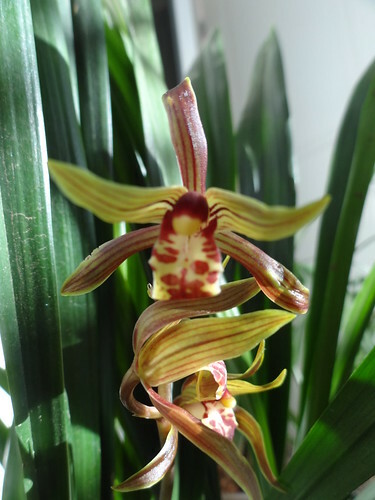 These cymbidiums are not cultivars so natural species. The cultivars in general have larger and more abundant flowering. The climate in BC is perfect for cymbidiums. You could have them outside on the balcony almost all year round. The space looks like it is coming together nicely - I imagine every step you take in its creation is enjoyable! I'm certainly enjoying watching it develop! A small update on my fishroom. I am basically set now apart from the installation of the sink which will have to wait until 2014. A while back I had already organised the electricity but never took a picture of it. I am happy with it, as there is very little chances of water getting into it plus I won't be able to trip over it either. And yesterday we went to Ikea and I got myself LED lights for the 2 5 gallon tanks I have. It gives me more light than I expected although I won't be growing high light plants with this! Looks like good steady progress - I bet the led lights make a noticeable difference! Those are the same LED lights I have over my desk. They produce quite a bit of light. @JayB wrote: Those are the same LED lights I have over my desk. They produce quite a bit of light. Yes, I seem to be able to grow anubias with them and that is all I need for the tanks that I have there! CanadaAquariaAdmin wrote: Looking good. So organized. Thank you! Apart from that it is necessary to use the limited space well, it is also a requirement for any future expansions. Otherwise I will be hearing that I am not even able to maintain the current set-ups so how can I think about getting more tanks! I have determined that I am not using my shelf space for tanks effectively, so it is time to do some rearranging. My shelves have the size that allow me to put 4 5 gallons small side out or 3 10 gallons small side out if I add a little bit of plywood as the tanks are sticking out around 3 cms. Now on 1 shelf because of the height I had to put it to connect the beams, I have enough working space to be able to put 15 gallon high tanks instead of the 10 gallons. These tanks have the same foot print as a 10 gallon, but are about 15 cm higher. My question is whether you think there are significant advantages to having a 15 high over a 10? Or is it the foot print that matters and not so much the volume? What would a 15 high allow me to do that I wouldn't be able to do in a 10? @Biulu wrote: I have determined that I am not using my shelf space for tanks effectively, so it is time to do some rearranging. I use a 15 gallon high tank because it has the same foot print as a 10 gallon and my space is limited but I needed the extra volume. Its use depends on the kind of fish you have in there. For me having endlers in there is perfect as they swim at all levels and I can hold more fish in there than I could a 10 gallon. 15 gallon high tank are also amazing for planted tanks. What types of fish do you plan to have in this tank ? If you have the room, both plants and fish can benefit from the extra height. 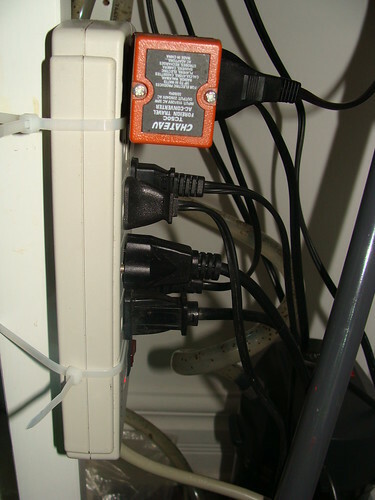 But remember working under a shelf with even a little less space makes a big difference. Well, it seems the store doesn't carry the 15 high, only a 20 extra high and that is too tall as it wouldn't allow me to maneuver sufficiently. So, it will be 10's then. If I were in Mexico, I would have asked to make me custom sized tanks that fit the shelf exactly, including the height. Unfortunately, that is too expensive here. Very well thought out and so nicely executed ! Great to see the latest developments ! Today I went to Canadian Tire to buy a plastic storage unit for all the odds and ends I have in my fish closet and I saw something which suits my needs even better. A 100 litre transparent plastic box! That makes around 20 gallons and would be ideal for the breeding and grow out of my gourami and betta species. The dimensions are such that it fits very nicely on the shelf while leaving room for 1 10 gallon short side out. It also makes me very flexible. Much more flexible than with a 2 10s and the investment is minimal compared. I really like the evolution of this and really makes me wish I had more room for a fish room in my place! Maybe one day!